This is the best way I can describe the experience I had when I first tasted this salad. I had ordered takeout from My Thai, one of my favorite places back in the day, and when I bit into this salad, I was shocked. My taste buds had never EVER encountered this intriguing bliss before. Fruit mixed with onion and herbs….what?! It’s not something we do much of in America…at least not where I grew up. Start by creating a simple syrup. Add 3 Tbsp palm sugar and 4 Tbsp water to saucepan and bring to boil. Simmer for 5-10 minutes, then remove from heat. 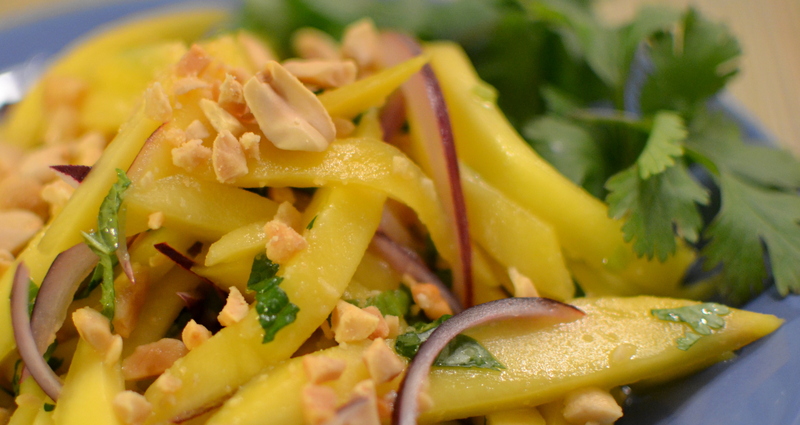 Julienne your mango and onion, then dice your mint and cilantro. 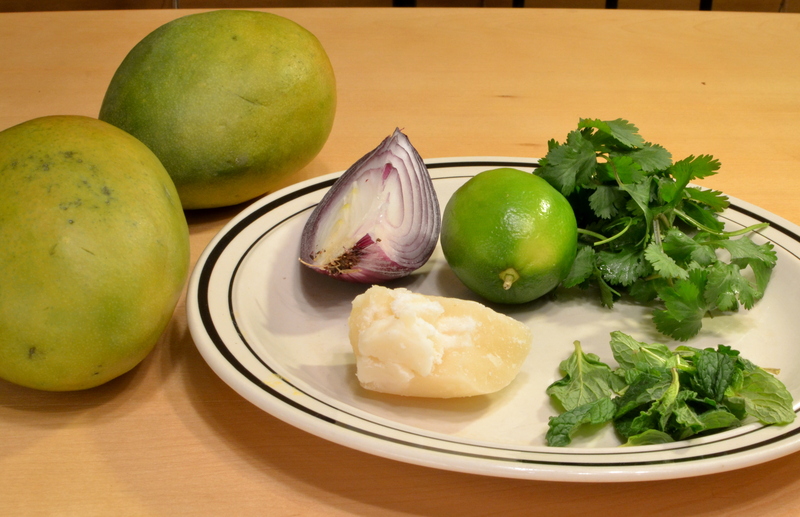 Add mango, onion, mint and cilantro to bowl. Pour in 2 Tbsp of your syrup as well as the juice of 2 limes. Add in the chopped peanuts and mix well. Adjust to taste by adding more lime/syrup. 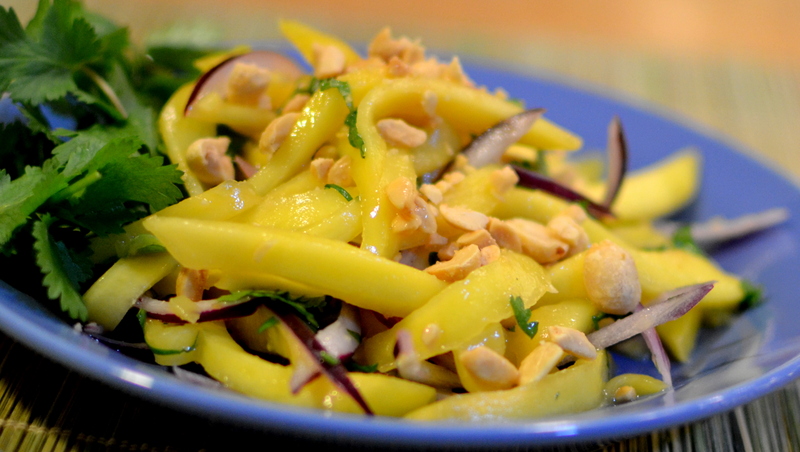 This entry was posted in Thai Recipes and tagged gluten free blog, gluten free recipe, gluten intolerant, mango, recipe, thai cooking, Thai food, Thai mango salad, thai recipe.